Many adults are concerned about the appearance of wearing braces. Often, Invisalign® (The invisible alternative to braces) can be used to treat adults. This technology involves clear removable aligners, fabricated through advanced 3D imaging to align the teeth. 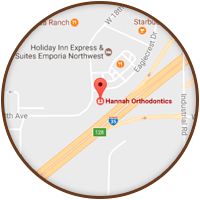 For more severe problems, we have the option of clear ceramic brackets instead of metal. 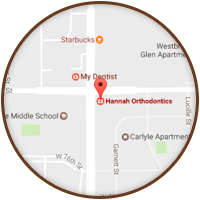 Orthodontic treatment is no more uncomfortable for adults than children. 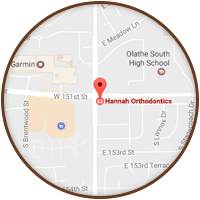 Adults undergoing orthodontic treatment report the same level of soreness as children (although adults are more willing to tell us when they are experiencing discomfort). 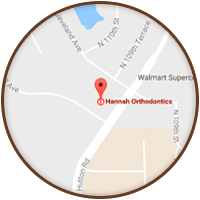 The staff at Hannah Orthodontics loves working with motivated adults to achieve the superb smile and sound oral health they deserve. 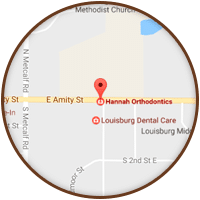 Do not hesitate to contact us to schedule a complimentary consultation or if you have questions.